BROWNSVILLE — Texas LNG Brownsville LLC, one of three companies that have proposed building liquefied natural gas export terminals at the Port of Brownsville, says it has reached an important milestone in its pursuit of Federal Energy Regulatory Commission permission to begin construction. On Aug. 31, FERC sent Texas LNG a Notice of Schedule for Environmental Review that sets the dates FERC expects to issue a Final Environmental Impact Statement and Federal Authorization Decision Deadline for the project. According to FERC, Texas LNG should receive a Draft Environmental Impact Statement this October and a Final Environmental Impact Statement by mid-March 2019. The Federal Authorization Decision Deadline has been set for June 2019, by which time each federal agency evaluating the project must have completed its review and made a final decision whether to give its authorization. Based on the anticipated date of the Final Environmental Impact Statement, and the timeline of other FERC-approved LNG projects, Texas LNG expects to receive permission for construction in the last half of 2019. The company said the impact statement and the authorization decision deadline are the major, last steps before issuance of the “FERC Order” authorizing construction and operation of the plant. Texas LNG would receive natural gas via pipeline from the Eagle Ford Shale for export overseas. 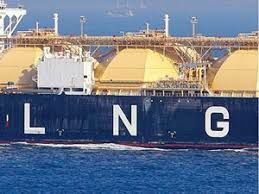 Before it can be transported via oceangoing LNG carriers, the gas must be liquefied, by super chilling it, to reduce its volume. Langtry Meyer, the company’s chief operating officer, wrote via email that having the Schedule for Environmental Review in hand “provides certainty and confidence in our permitting schedule” and that the company is on track for a Final Investment Decision — whether to proceed with the project or not — late next year. “It confirms that Texas LNG has completed most of the substantive portions of the permitting process, and the responsibility of the permitting process is now mainly with the U.S. government, which has committed to issue the Draft and Final Environmental Impact Statements in the next few months,” he said. Meyer said receipt of the Schedule for Environmental Review significantly “de-risks” the project in the eyes of potential investors. Texas LNG plans to build two liquefaction trains — complete systems for liquefying natural gas — each capable of producing 2 million metric tons of LNG per year. The facility would also include an LNG storage tank and a marine dock for accommodating LNG ships with capacities of up to 180,000 cubic meters. In contrast, Rio Grande LNG, the largest of the LNG three projects proposed for the port, when built out would feature six liquefaction trains each capable of producing 4.5 million metric tons of LNG per year. Meyer said the smaller capacity of the Texas LNG project reduces the commercial risk since it isn’t dependent on large customers, but instead can market relatively small volumes to “emerging markets” in foreign countries. The company has signed preliminary agreements for purchase of 7 million metric tons per year by several overseas customers, he said. Two of the potential buyers are in China, two in Southeast Asia and one in Western Europe, Meyer said. Texas LNG said it expects to start construction in early 2020 and begin phase-one operations in 2023 or 2024.